BAFFINS Milton Rovers drew 2-2 in the Wessex League premier division against Tadley Calleva. Rovers got off to the best possible start when they took the lead in the third minute thanks to an Ashton Leigh free-kick. Just two minutes later the lead was doubled. This time, Leigh turned provider when his free-kick was headed home by Shane Cornish. Sam Hamilton reduced the arrears for the visitors in the 51st minute. Tadley equalised in the 57th minute when a long throw was flicked on at the near post and headed home by Shaun Dallimore. Meanwhile, elsewhere in the league Horndean beat Brockenhurst 3-1 thanks to a Harry Jackson double and a Jack Maloney effort. AFC Portchester lost 2-1 at Christchurch and Petersfield lost 3-0 at Hythe. Moneyfields beat Evesham United 1-0 in the Southern League division one south after Dan Wooden scored. 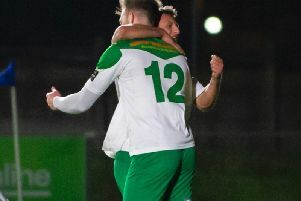 Bognor drew 2-2 at Bracknell Town in the FA Trophy.